I witnessed firsthand just how loyal dogs are when one of my family's dogs, Toby, tragically died. Despite bullying him at every turn, his older brother Kaiser was absolutely crushed after his younger brother passed away. Kaiser didn't eat for days, dug himself into a hole and cried. Every time he'd hear Toby's name or see a toy of his, his whole demeanor would change, even years after his brother passed. What strikes me as so amazing about that undying loyalty is that Kaiser was also loyal to a member of an entirely different species: humans. One of the most recent examples of canine loyalty is when this photo of George H.W. 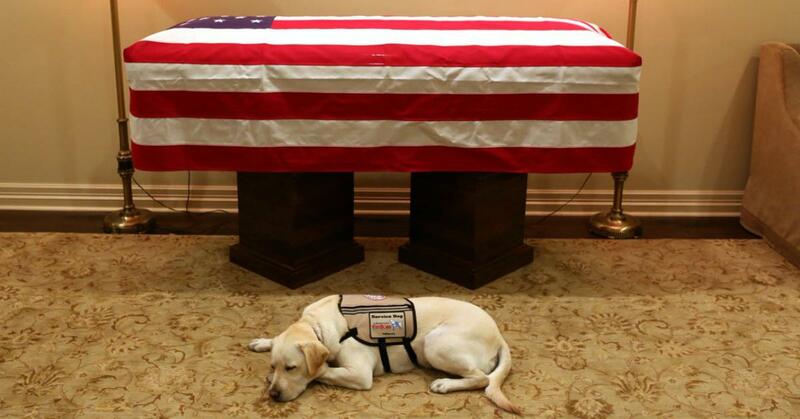 Bush's service dog surfaced on the internet. The former 41st President of the United States passed away in his home at the age of 94 over the weekend. Spokesman for the Bush family Jim McGrath honored the prominent figure by sharing a photo of Sully sitting near the coffin of the man he's cared for since June. Sully was selected from America's VetDogs nonprofit organization to assist Bush, who had Parkinson's disease. The native Texan had difficulty opening doors, picking up objects, and getting help from others on his own due to the nature of his symptoms. In addition to being an unbearably cute and loving pupper, Sully assisted with these and other tasks. Bush will be buried in Texas on Thursday, December 6. Until then, private memorial services for the former President will be held in Houston and Washington. Sully is set to return to America's VetDogs, located in New York, before he helps others again at the Walter Reed National Military Medical Center's dog program. Now that's a good boy. But specially-trained service dogs aren't the only canines who display this kind of crazy loyalty to their owners after they pass. 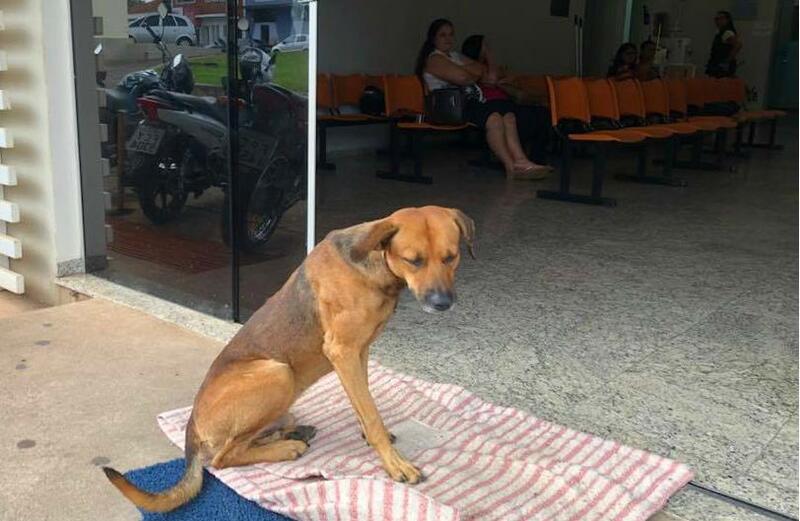 Earlier this year, a story about this Brazilian pooch captured the hearts of everyone online. An unidentified homeless man who lived with this dog was stabbed. Ambulances rushed the man to the hospital and his dog ran after the truck, following it all the way to the medical center. He didn't try to go inside, but instead waited outside the doors of Santa Casa de Novo Horizonte Hospital in Sao Paolo. 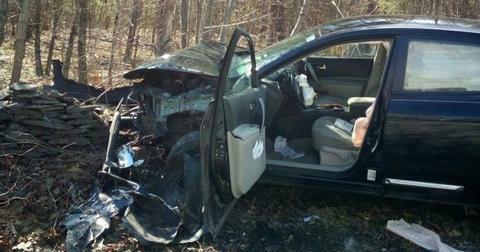 However, he was never reunited with his owner, who died from his injuries. Hospital employees grew fond of the dog, giving him food and water as he kept his vigil for months, waiting for his owner to return. Staff at the hospital found a local kennel willing to find the dog a new home, but the loyal canine busted out and went right back to waiting outside of the hospital's doors. He's stayed in front of the hospital ever since. Workers at Casa de Novo say the dog never causes any trouble, is kind and polite to all passersby, and never tries to enter the hospital. 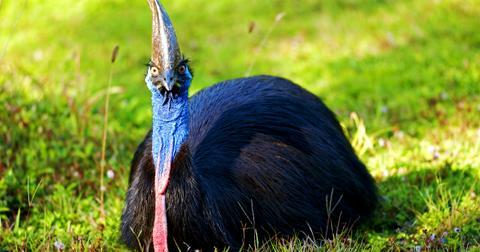 He's become a local mascot and an inspiration to those around him. His story is similar to the tale of Hachiko, the pet Akita to professor Hidesaburo Ueno. The dog is a national hero in Japan due to the unfailing loyalty to his human. Ueno worked at Tokyo Imperial University, and brought Hachiko to live with him in Shibuya. Every day, Hachiko would walk with Ueno to Shibuya station on his morning commute and await his owner's return. Sadly, the professor died of a cerebral hemorrhage while at work, leaving Hachiko waiting for him at the station. 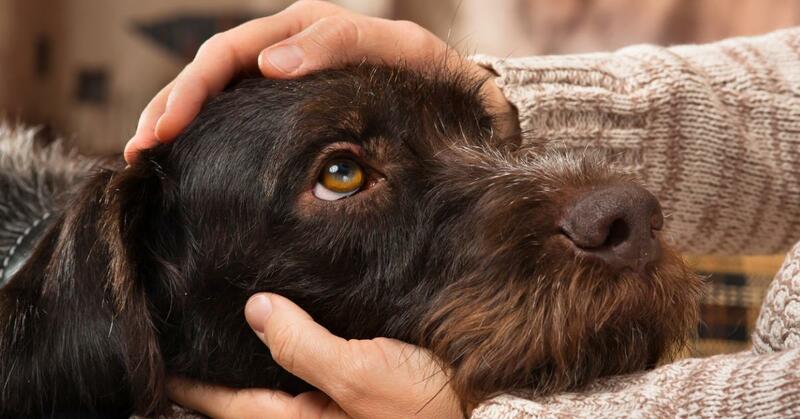 He never gave up hope and could never bring himself to forget about his owner. For 9 years, Hachiko waited for the professor to step off that train, returning to the station every day at the same time. 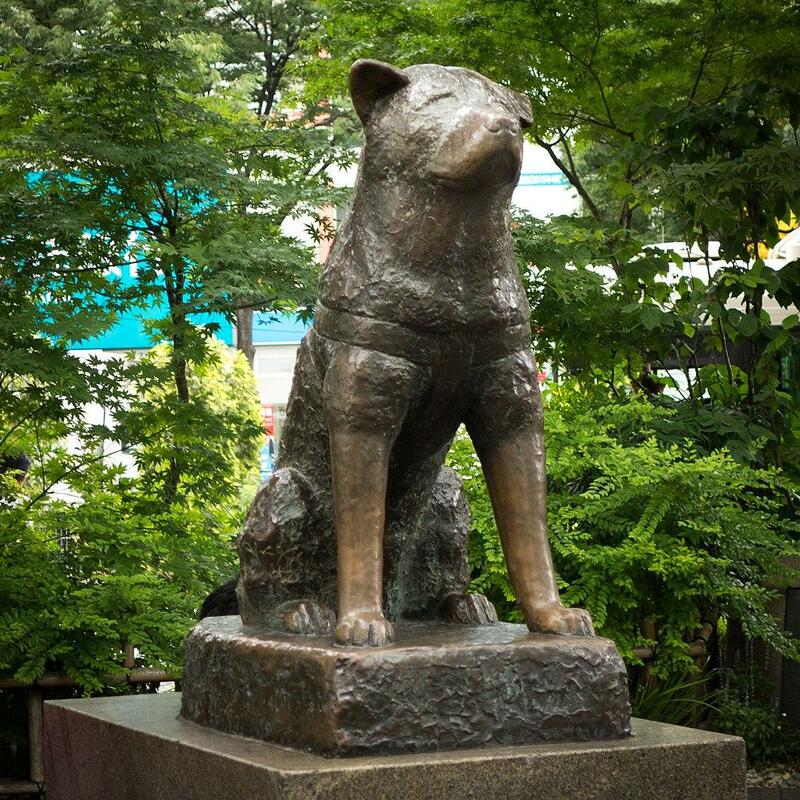 Hachiko became a celebrated cultural symbol of devotion throughout Japan. Bronze statues were erected in his honor, and he's become a subject of countless books and movies. After the professor's death, one of Ueno's students saw the dog and followed him home one day. He learned of the dog's life with his master and published articles about his awesomeness. 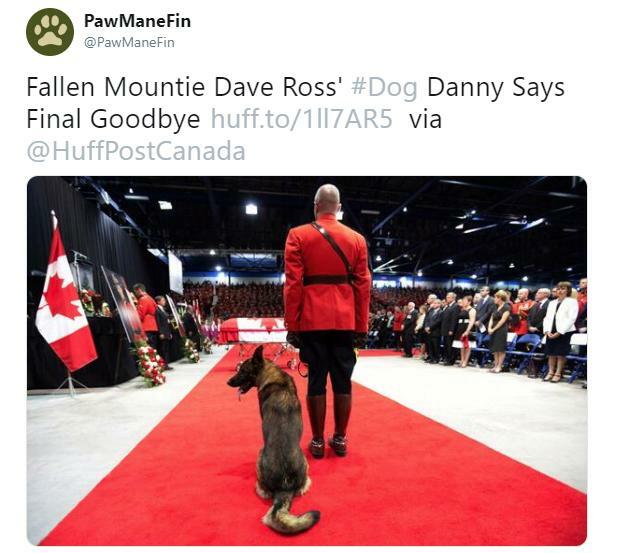 Danny, the German Shepherd gained worldwide fame back in 2014 after a tragic shootout resulted in the death of Canadian Mountie Dave Ross. Like Sully, Danny was present at his owner's memorial service. Throughout the funeral, Danny sat beside Ross' casket and several reported that he whined and whimpered loudly throughout the entire service. The service dog worked alongside the Mountie during his time as an officer and had difficulty recovering from the murder of his friend. 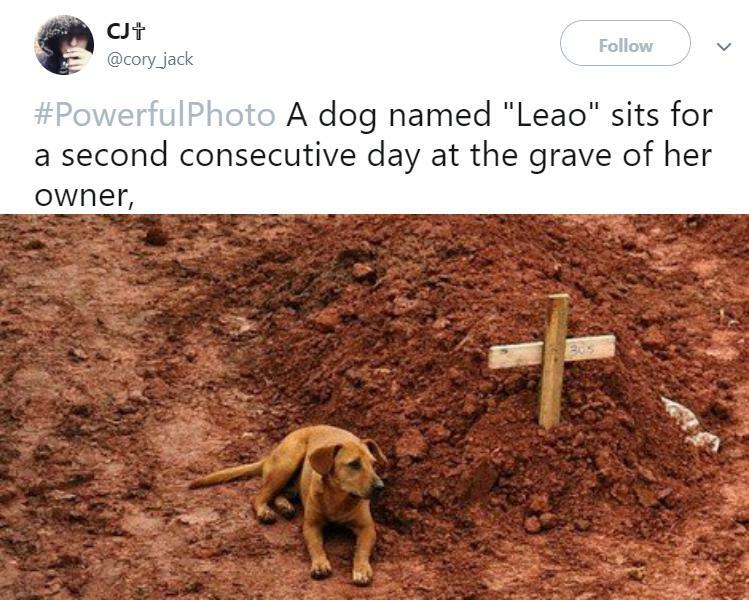 Dealing with the sudden loss of a loved one is difficult for anyone to handle, and for Leao the dog, it was no different. 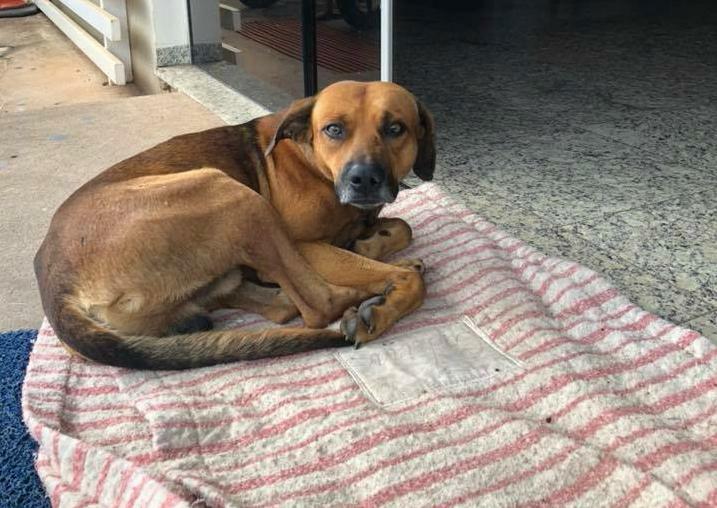 The massive 2011 deluge that flooded Rio de Janeiro took approximately 900 lives, including the owner of this devoted dog, Cristina Maria Cesario Santana. For days, Cristina's dog stood by her grave, keeping watch. The photo was one of the most heartbreaking images to come out of the tragedy. Wayne Giroux ran a lawnmower shop with his son, Paul in Loan Oak Texas. Wayne wasn't known to be the most friendly person around. He would argue to get his points across and was described as "cranky" by many, including his own son. Wayne's dog, Spot, didn't mind his personality at all: the two of them were best friends. 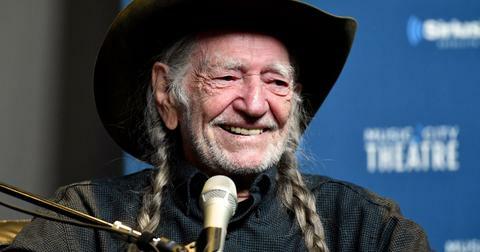 One day, however, Wayne was killed on the side of a country road by a drunk driver. Spot, undeterred, waited at the location where her master met his fate. Twice a day, Wayne's son, Paul, went to check on the dog, and sure enough, she was there, waiting. "I have no doubt that's what she's waiting for. It breaks my heart every time I go over there," Paul said in an interview with CNN. There are more stories of the undying loyalty pooches have, of dogs going out of their way to attack bears to save their owners, for example, but I've got too many tears in my eyes now to write it. And please, no one remind me of this Futurama episode, either.